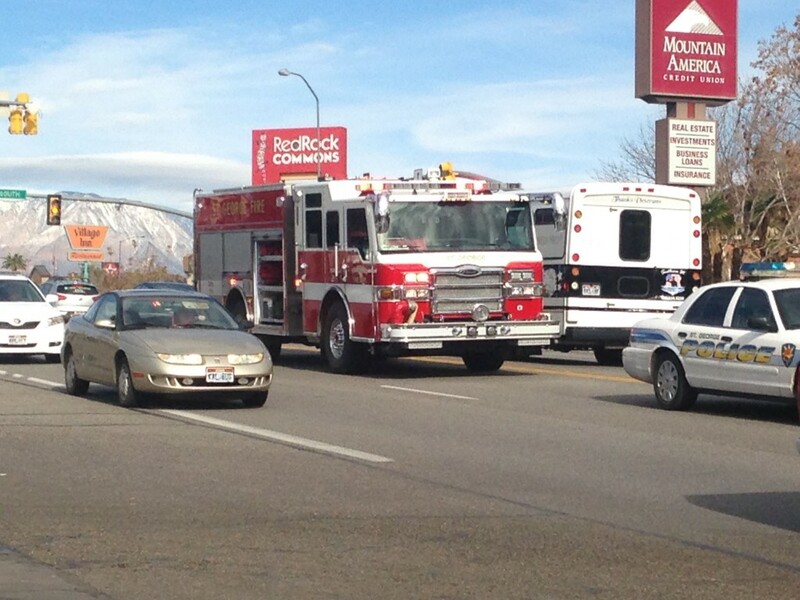 ST. GEORGE — Traffic was delayed along 100 South and River Road early Tuesday afternoon following a two-vehicle collision. At approximately 12:35 p.m., the driver of a Toyota Corolla was traveling southbound on River Road behind a GMC Yukon approaching 100 South, St. George Police Officer Derek Lewis said. When the driver of the GMC stopped behind halted traffic at the intersection, the distracted Toyota driver crashed into the back of the GMC, he said. 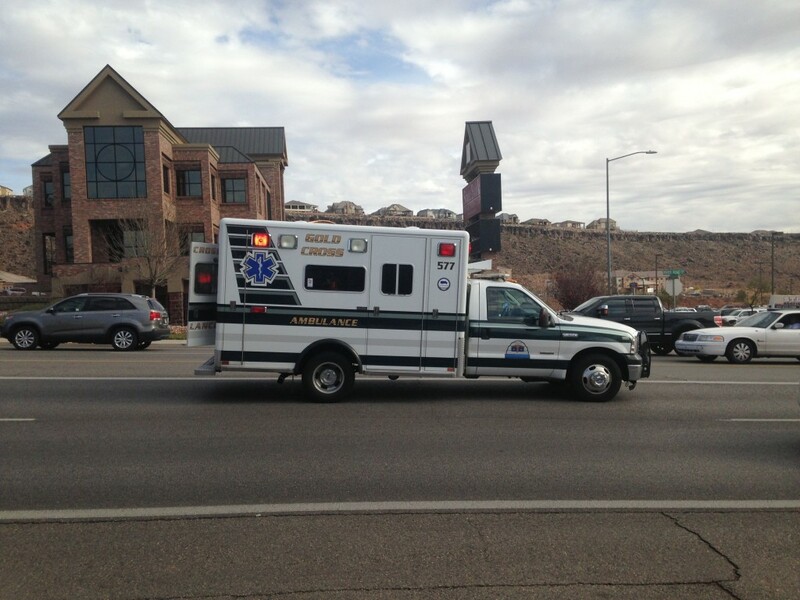 St. George Police Department, St. George Fire Department and Gold Cross Ambulance responded to the scene. The driver of the Toyota sustained possible head injuries and other injuries that were not life threatening, but was not transported to the hospital, Lewis said. No other injuries were reported. The driver of the Toyota was issued a citation for following too close, Lewis said. The Toyota was towed from the scene with heavy front-end damage and deployed airbags while the GMC was driven from the scene after sustaining moderate damage with a dent and scrape to its rear end, Lewis said. Traffic was shut down in the left southbound lane of River Road during the cleanup of the accident. I was there too. I was coming from Target and planed on making a left hand turn at first south. I made a quick left hand turn into the neighborhood and came out near Jones paint and glass. It took a while to make a left onto first south but I got it done and went on my way. I was rear ended while I was stopped at a stop light back around the fist of November. I am sure the man driving the other vehicle was distracted by something because I had been sitting at the light for several minutes and the light was still bright red. He drove right up and hit me without even stopping. He of course got a ticket and his insurance had to pay to fix me and my truck. I try really hard not to get distracted when driving. 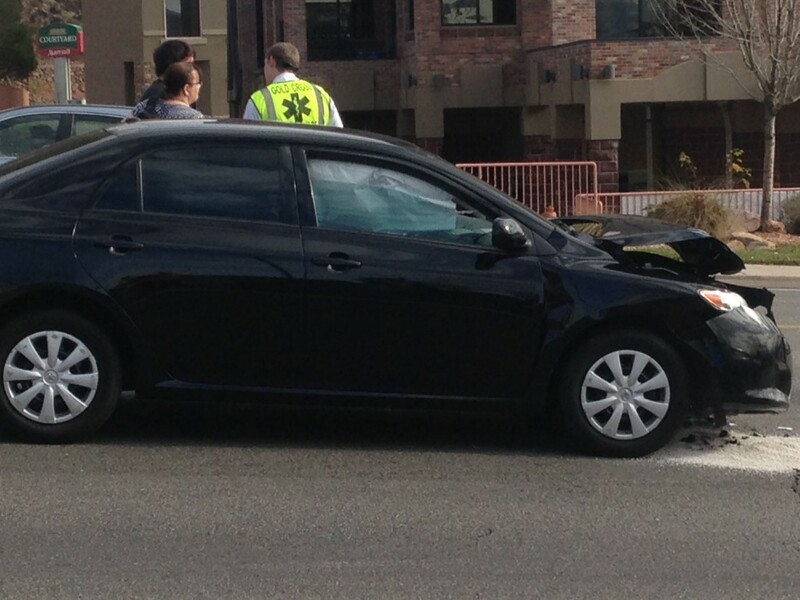 I would rather not be the one taking out some one’s bumper and fender or hitting someone in a cross walk. NO FUN! Wonder if a cell phone was involved? No guns, knives or other weapons found in his vehicle? What kinda dixie guy is he?